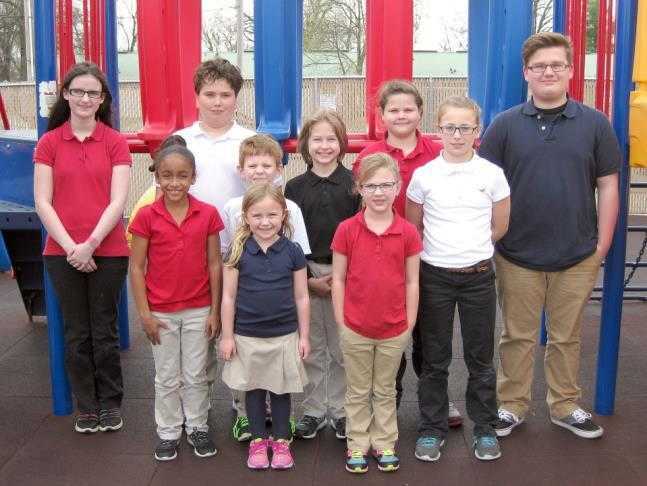 The Christian Academy in Sikeston announced the students honored as "Christ-like Characters" for March. Pictured front row are: Abby Tanksley and Harlee Simmons; middle row: Ryleigh Housley, Hunter Marsh, Jordan Mueller and Hannah Stengler; and back row: Kate Wooden, Carson Hamby, Sarah Frazier and Landon Frazier. The word of the month was cleanliness, which school officials defined as being free of offensive behavior and language, good personal hygiene and keeping your work area clean.